We manufacture superior quality glass fiber chopped strands, which are used in varied industrial applications. The extensive experience of our work force also enables us to offer the products in standard as well as modified forms. 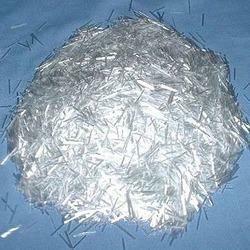 We are recognized as one of the eminent provider of Fiberglass Chopped Strands. Our offered range is widely admired and demanded among our valuable customers for its quality specifications such as high durability and high tensile strength. We are engaged in manufacturing, supplying and trading premium quality Alkaline Resistance Fiberglass Chop Strand that are seamlessly resistant to a wide range of chemicals such as alkalies. These are manufactured using sophisticated technology from the highest grades of basic raw materials. - Widely used in swimming pools, battery racks, power plants areas, etc. 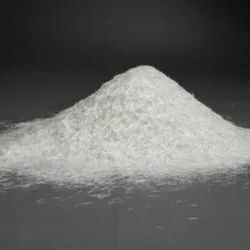 We are engaged in providing the best quality range of Fiberglass Chopped Strand. We are engaged in offering excellent quality Fiberglass Chopped Strand to our valuable clients. It is treated with a saline-based size and is designed for reinforcing. Fiberglass Chopped Strand is mainly used in injection and compression molding processes and its typical end-use applications include automotive industry, home appliances. We are involved in offering a large assortment of Concrete Fiberglass Chopped Strand. With enriched industrial involvement and knowledge, we are offering an excellent variety of Fiber Glass Chopped Strand.